To make more sustainable, diverse, healthy and nutritious food available for low-income citizens in target countries. The world is producing more food than ever; however, the current food system is not benefiting everyone equally, and not all have access to healthy and nutritious food produced in a manner that ensures food security now and in the future. Large-scale mono-cropping of maize, soy, wheat and palm oil erode ecosystems and lead to both obesity and nutritional deficiencies. This is further worsened by a globalized food industry that promotes ultra-processed foods high in meat, fats, sugar and salt. SD4ALL builds the advocacy capacity of CSOs to challenge unsustainable practices and incentives in food production and consumption. The program takes evidence – especially that generated by citizens – directly to policymakers and international institutions so their policies, market practices and legislation will promote diets that are diverse, healthy, fair and based on environmentally sustainable production methods. One of the principal strategies is to set up Food Change Labs to bring multiple stakeholders together to share knowledge, evidence and ideas, and to jointly develop local, national and international examples of how food systems can be transformed. In Fort Portal, Uganda, a local food lab partner convinced policymakers to include nutrition in the district production and environment ordinance using evidence from food diaries kept by local mothers. In Bolivia, four partner organizations have connected different food networks with more than 50 local and national institutions. Advocacy in Zambia has led to the elimination of government subsidies for maize only and extending the e-voucher system to include diverse agriculture and crops produced by women. At major global conferences, Hivos and our partners have achieved broader acceptance for our approaches to transforming the food system. This page provides a number of papers and publications that explain the Sustainable Diets for All (SD4ALL) programme in greater detail and give broader context to its activities. Biodiversity loss is one of the areas where humanity is operating furthest outside the planet’s environmental limits.This discussion paper prepared by Seth Cook of IIED as part of the Sustainable Diets for All project explores the roots of this situation and asks how to reorient food systems towards greater diversity, health, sustainability and inclusiveness. It argues that diverse agricultural production and diverse diets can be mutually reinforcing. This short paper outlines Hivos’ position on its Sustainable Diets for All programme. 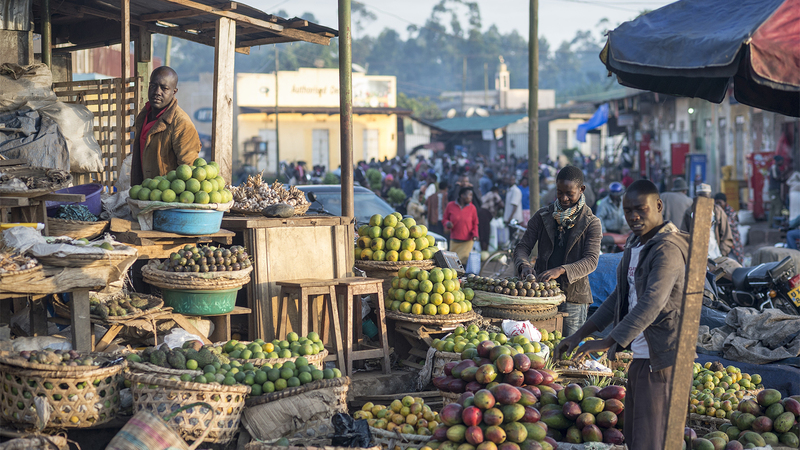 Sustainable Diets for All is an advocacy programme that uses evidence, including evidence generated by citizens, to help low- income communities in Zambia, Uganda, Indonesia and Bolivia improve their access to sustainable, diverse and nutritious food. The 5-year (2016-2020) programme is coordinated by Hivos, the International Institute for the Environment and Development (IIED) and partners in the focal countries. The 10YFP is a global framework of action that aims to promote national, regional and international cooperation that accelerates the shift towards sustainable consumption and production (SCP) in developed and developing countries. It provides capacity building innovations and cooperation among all countries and stakeholders in order to transform SCP patterns. UNEP serves as the Secretariat for the 10YFP. Although our food systems seemingly deliver impressive abundance and variety, we are losing crucial agricultural biodiversity and our increasingly homogenised diets are leading to disease and obesity. Seth Cook sets out five steps for better, more diverse food systems in this Hivos-IIED policy brief. This toolkit aims to provide practical guidance and ideas to advocacy officers and civil society organisations (CSOs) wishing to mobilise and support citizen groups to jointly advocate in the Sustainable Diets for All (SD4ALL) programme’s focus countries and at the global level.